This is a studio painting done from direct observation. 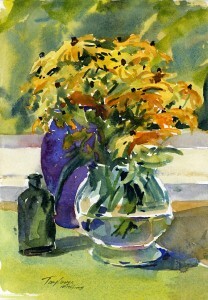 The nice thing about a studio still life is that it is possible to set things up as you like. 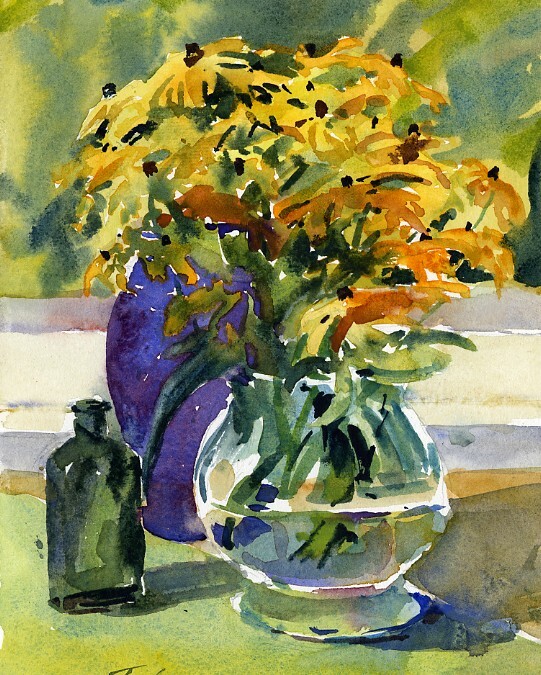 In this case, I was able to set up a composition that features two complementary colors – purple and yellow in a field of secondary greens and neutrals. But, it’s available as a signed, limited edition print! All editions are limited to 50 prints and are mounted and matted to a standard size for easy, low-cost framing. 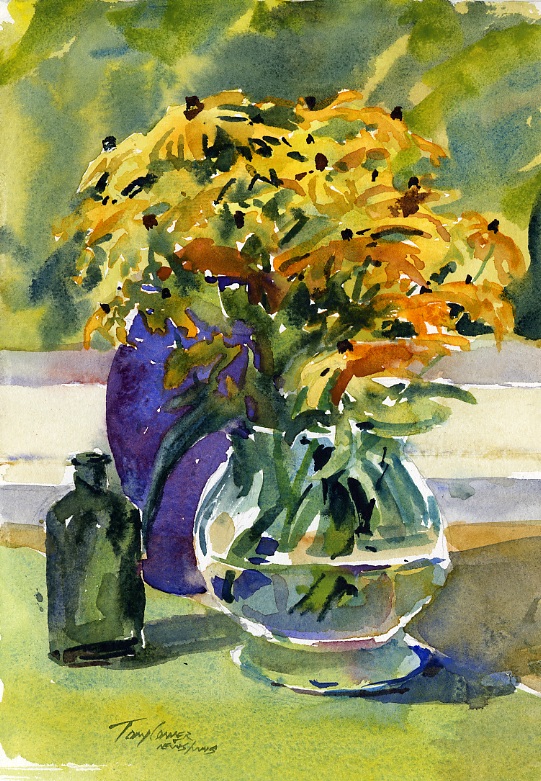 “Vase Of Black Eyed Susans” is mounted and matted to 14″h x 11″w. For easy, low-cost framing. Shipping and Handling to any U. S. address is $6.95. Click “Add To Cart”, below to purchase. Or click here to learn more. Comes matted and mounted with acid free materials. Matted to standard 14″ x 11″ for easy, low-cost framing.